Koh Tao is a small, beautiful island in the western part of the Gulf of Thailand. Named initially because of it’s shape, Turtle Island is a place where you can enjoy the typical resort atmosphere or have an adventurous time if you so desire. A white sand beach that is almost 2 kilometers in length is on the West coast of this Thai island, while many hiking and adventure opportunities lie on the other side. With good restaurants, great cocktails, and the chance to explore, can you hear Koh Tao calling for you to visit today? Even though there are only about 1,500 people who call Ko Tao home, there is a hustle and bustle on the island due to tourism that seems to be never-ending sometimes. One of the best ways to get away from that craziness is to head out to calm and quiet Sai Nuan Beach for the day. A perfect place for diving or snorkeling, there are restaurants that are reasonably priced nearby. It may be smaller than most beaches and a little out of the way, but the reward is fewer people and that’s easily worth it! 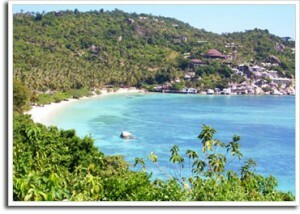 If you are a honeymoon trip book a romantic beach side resort on Koh Tao and enjoy your moments. Tide pools often form near the beach as well, offering adventures for the kids too. Sai Nuan Beach should be your first stop during your visit to Koh Tao! Self-defense classes, Yoga, Tai Chi, and meditation are all services that you’ll be able to find at the Wellbeing Center of Koh Tao. One of the best health clubs you’ll find anywhere, you can enjoy a nice therapeutic massage and follow it up with some healthy juices. Acupuncture is available on site for those who wish to have it, while healthy juices can help to provide a level of revitalization that may be needed in life. A perfect getaway, you’ll find that you can bring the “you” back that you remember after just a couple visits here. At the Koh Tao Bowling & Mini-Golf center, you can enjoy unlimited miniature golf for a reasonable price. The atmosphere is laid back, the ice cream is good, and the food on site is wonderful as well and themed around an English pub. Unwind with a cocktail or two, bowl a few games, and you’ll find that this is the perfect place for the family to enjoy after a long day of enjoying the beach. Don’t forget to try the Goofy Golf before you go! Are You Ready To Visit Koh Tao? 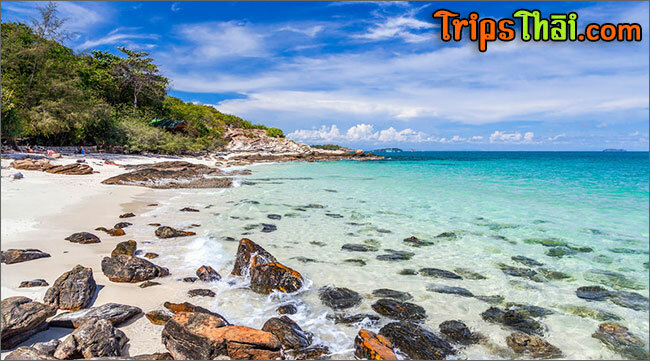 With plenty of wonderful scuba diving opportunities, Koh Tao is the perfect place to enjoy beach and water activities. Enjoy a day hike in the surrounding wilderness, have cocktails at your resort, or enjoy a great meal at one of the many memorable restaurants that are available on the island. With businesses specifically designed to provide you the exact services you need in order to relax in the best way possible, your visit to Koh Tao will be one of those pleasant memories that will last for a lifetime. Book your trip to Koh Tao island today.